In the run-up to the latest James Bond film, Spectre, renowned photographer Rankin takes us from script to screen in Blood, Sweat and Bond: Behind the Scenes of Spectre, curating an ensemble of exclusive photography and cast and crew interviews. Also features contributions from celebrity photographers including Mary McCartney, Graciela Iturbide, Anderson & Low and Brigitte Lacombe. 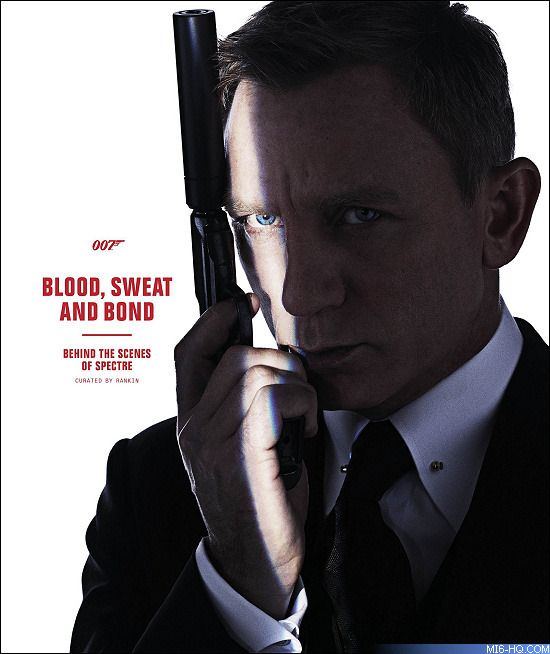 This is the first published book to preview the latest Bond film's cast, crew and locations. Directed by Academy Award-winner Sam Mendes, Spectre features the return of Daniel Craig as legendary British secret agent James Bond.